Every passing day I grow more and more impatient for this movie. Eureka, my dear, please find a way to release earlier than Feb. 9, why not tomorrow? I can’t go see it the night it comes out. :( But, atleast I can get the DVD or even a copy on Blu-Ray possibly later this year. Finally, they have announced that this movie has been licensed. Eureka Seven is one of the best series I have ever seen, and this movie seems to keep up the quality. The acquisition was announced at Bandai’s panel at the Anime Expo ’09. Right now, it is set for a September 24, 2009 theatrical release through Fathom Entertainment’s theaters. Tickets will start going on sale on August 21. Hopefully they have a DVD or Blu-Ray release this year, because I can already tell I wont be goign to the theater to see this since I will be in school that day. Knowing Bandai, they will release it in November probably. 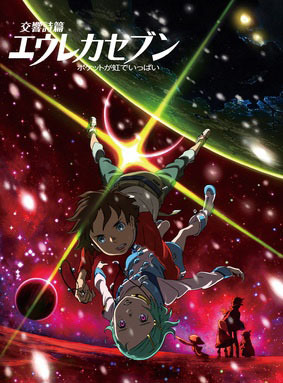 Eureka Seven: Pocket Full Of Rainbows is now the most anticipated movie of this year for me. Of course, California gets more stuff I would like to have. The Universal Television Broadcasting DTV channel in S. Cali. recently had more anime added. If you live there, you can access the channel from DTV Channel 18.2. They added the following anime: Eureka Seven, Fantastic Children, The Third: The Girl with the Blue Eye, true tears, sola, D.I.C.E., and Nihongo Dekimasu. 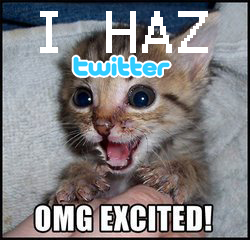 THEY GET HARUHI! What is up with that? I mean, I’m glad more people can enjoy the awesomeness of it, but, at the same time, I don’t get anything that shows any of those. Well, Adult Swim showed Eureka 7 twice and I already own Haruhi on DVD. Maybe one day North Carolina will get a channel like that. Probably not though. Transformers + Eureka Seven = Epic Win! I can’t wait for the sequel to Transformers or the Eureka Seven movie and all this did was make the wait even worse. Though, it was pretty awesome none the less.